The most characteristic feature of Darwin’s finches is the diversification of beak morphology that has allowed these species to expand their utilization of food resources in the Galápagos archipelago. A team of scientists from Uppsala University and Princeton University has now identified a gene that explains variation in beak size within and among species. The gene contributed to a rapid shift in beak size of the medium ground finch following a severe drought. The study is published in Science. Darwin’s finches are a classical example of an adaptive radiation. 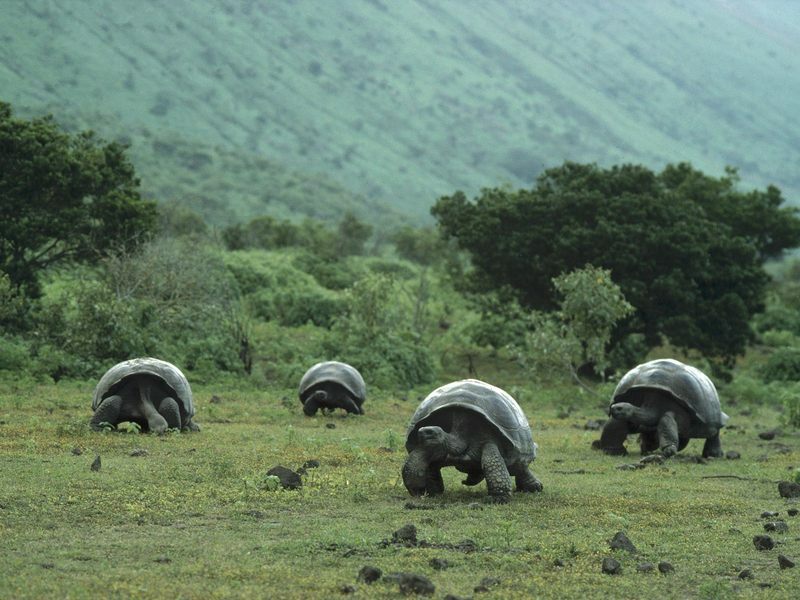 Their common ancestor arrived on the Galápagos about two million years ago. During the time that has passed the Darwin’s finches have evolved into 18 recognized species differing in body size, beak shape, song and feeding behaviour. Changes in the size and form of the beak have enabled different species to utilize different food resources such us insects, seeds, nectar from cactus flowers as well as blood from seabirds, all driven by Darwinian selection. In a previous study from the same team the ALX1 gene was revealed to control beak shape (pointed or blunt) and now a gene (HMGA2) affecting beak size has been identified. ‘Our data show that beak morphology is affected by many genes as is the case for most biological traits. However, we are convinced that we now have identified the two loci with the largest individual effects that have shaped the evolution of beak morphology among the Darwin’s finches’, says Sangeet Lamichhaney PhD student at Uppsala University and first author of the study. Charles Darwin was the first to describe the principle of character divergence (now known as ecological character displacement), which means that species that compete for the same food resources tend to diverge from each other and thereby reduce competition. This evolutionary process has been invoked as an important mechanism in the assembly of complex ecological communities. One of the few clear examples of ecological character displacement was previously documented in Darwin’s finches by Peter and Rosemary Grant at Princeton University, coauthors on this new study. The medium ground finch diverged in beak size from the large ground finch on Daphne Major Island, following a severe drought in 2004-2005. ‘We previously documented that the average beak size of the medium ground finch population became smaller during this drought due to a high mortality among individuals with large beaks because they could not compete well with the large ground finch,’ say Peter and Rosemary Grant, who carried out field work on the Galápagos during a 40 year period. ‘Now we have demonstrated that the HMGA2 locus played a critical role in this evolutionary shift and that natural selection acting on this gene during the drought is one of the highest yet recorded in nature,’ continues Peter and Rosemary Grant. HMGA2 has previously been associated with variation in body size in dogs and horses and it is one of the genes that show the most consistent association with variation in stature in humans, a trait that is affected by hundreds of genes. HMGA2 has also a role in cancer biology since it affects the epithelial-mesenchymal transition (EMT) that is important for metastasis and cancer progression. ‘The HMGA2 gene regulates the expression of other genes but the exact mechanism how it controls beak size in Darwin’s finches or human stature is unknown,’ says Leif Andersson, Uppsala University, Swedish University of Agricultural Sciences and Texas A&M University, who led the study.